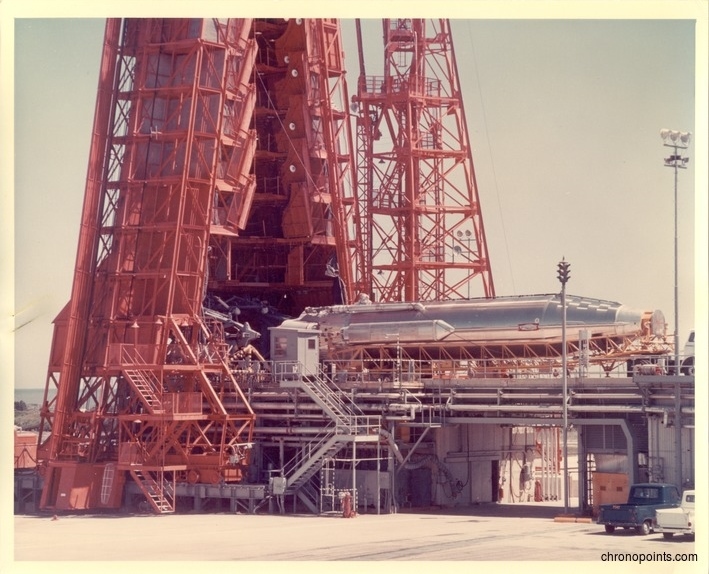 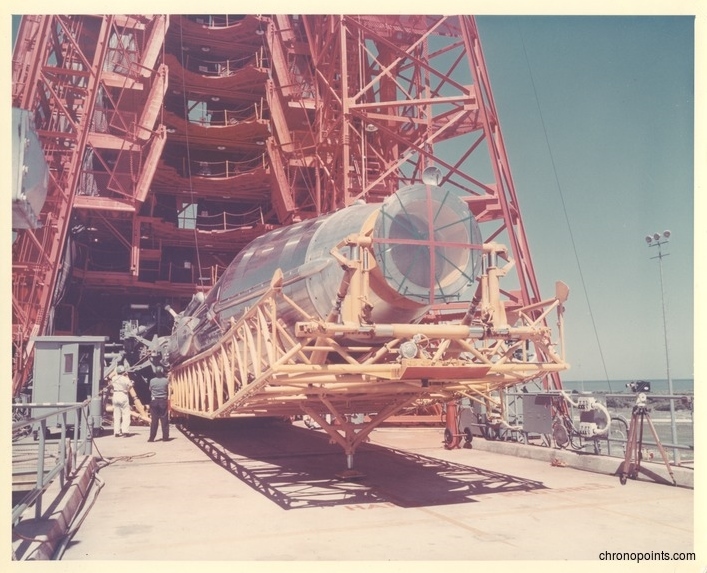 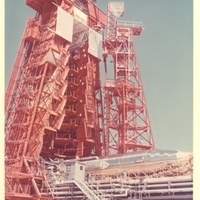 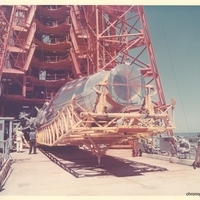 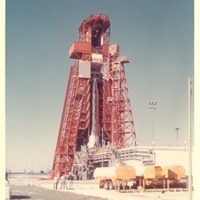 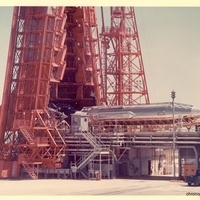 In the final launch of Project Mercury, the Atlas launch vehicle sits on its side before being fully assembled and lifted vertically on the gantry. 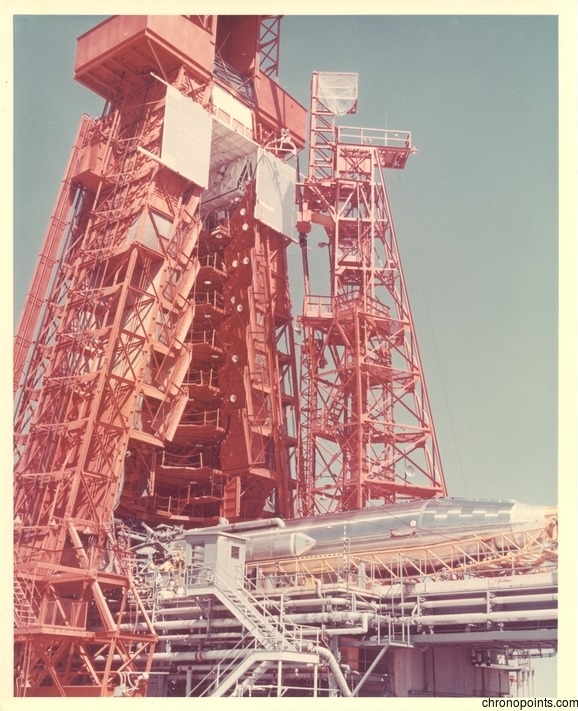 The Atlas was America's first rocket capable of lifting a man into orbit. 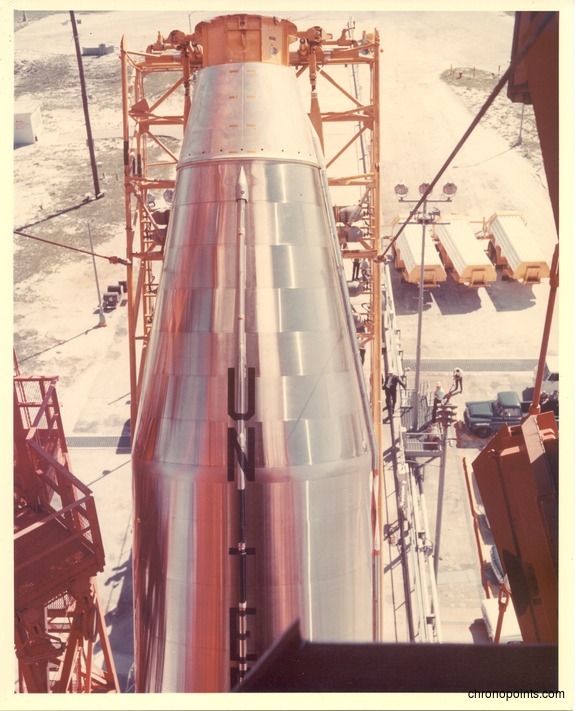 Faith 7's Atlas booster eventually lifted it into orbit, allowing astronaut Gordon Cooper (1927-2004) to circle the Earth 22 and a half times. 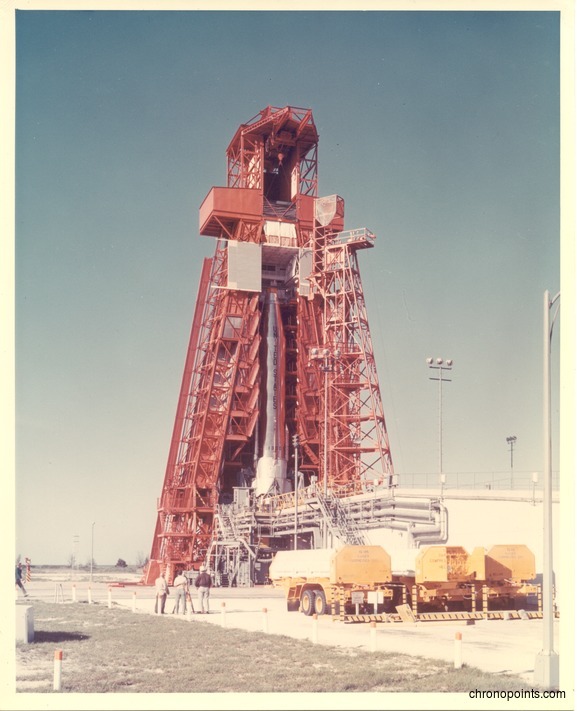 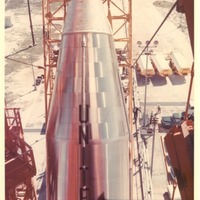 “Atlas Rocket Under Construction at the Cape Canaveral Air Force Station Launch Complex 14.” RICHES of Central Florida accessed April 21, 2019, https://richesmi.cah.ucf.edu/omeka/items/show/4993.